Diehard Downton Abbey fans didn’t watch the SuperBowl, preferring the trials and tribulations of Matthew and Mary to the seesawing fortunes of Tom and Eli. Series 2 has already been shown in the U.K., as well as a Xmas special. For those who could not work out how to set up their computer to mirror British I.P.addresses and watch it on streaming video, the wait has been long. 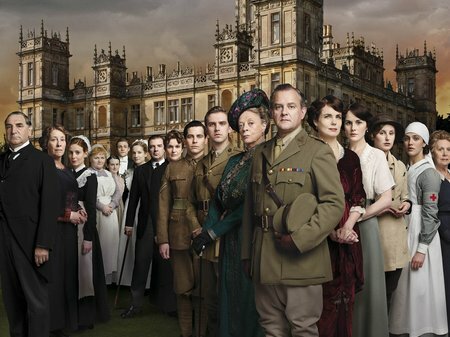 How can they get their Downton Abbey fix? They could get the British DVD version and have it shipped. But will it work on their DVD player? But do not worry, the producers are going to give the fans a relaxing spliff – series 2 is coming out on DVD is the US on Feb 7. Cunning on two levels. Second, and more dastardly, the rabid fans can get to watch all the episodes yet to be shown on PBS (and maybe even the Xmas special?). The timing is perfect. Release it any later and people will have seen the end and fewer people will buy it. Release it any earlier and PBS will not pay as much for the TV rights. Someone’s thinking back in England – probably a working class guy who would have been a footman in Downton Abbey days but now runs ITV.